Verified LifterLMS Experts Ready to Help! Looking for an expert to help with your latest LifterLMS project? These experts are standing by to help. Whether you need web design, web development, marketing, or instructional design, these LifterLMS Experts will get the job done. Custom e-learning development specialist and content creator, having worked with companies such as ADP, McKissock Learning, Constant Contact, Ooma, etc. Offering Vyond (GoAnimate) animation services, voice over, storyboarding, script writing/editing, screen capture, video/audio editing, webinar services. Thirty years of experience as a professional speaker/trainer. Twenty years of WordPress development/design experience and online marketing including PPC, SEO, social media, content, email, etc. We are creating a library of courses focused on helping course creators grow in whatever stage they are In. Just starting out? Established but desiring to be more productive? Ready to launch into the next level? We have you covered! The Tool shed is packed with tools that we have used and can recommend. Courses are important but having a thriving, We have a helpful and challenging group of people to work helping get you the results you want and drive your results. At WooNinjas we specialise in custom website development and installation & configuration of LMS/Membership plugin stacks. We have a small team of experts who are dedicated to working with LMS plugins for several years. We have built products and implemented complex learning solutions including gamification and adaptive learning and are happy to offer our experience. If you have the knowledge or materials ready for an eLearning course, but want someone to expertly build your eLearning courses for you, contact us. We have 20 years of Instructional Design experience. If you have an eLearning course that aren't making money and you need to "turn the ship around", contact us. We can provide wide number of services aimed at the LMS and membership website owners from complete turn-key solutions which include consultation sessions around the concept or idea for a membership site or an online learning system to totally designing and developing a full custom online solution for our clients. We also one leading providers of specializes LMS maintenance and service care plans which includes supporting LifterLMS, our plans start at $49 dollars per month! I do full site builds through WPCourseGuide.com starting at $299. If you already have your site up and running and you’re looking for content entry work or quality assurance/user testing work, I can do that as well. I’d be happy to set up a live call with you about anything on your WP site, from learning WordPress/LifterLMS to setting up pages or courses. No project is too small, so feel free to shoot me a message through the contact form on the site, and I’d be happy to help you out! I’ll likely be able to get back with you within 24 hours during the business week. Codeable is the #1 online outsourcing service for WordPress. At Codeable quality and customer service come first. You can find 300+ carefully vetted developers that can handle almost any development need that you can have from complex custom plugin and theme development to simpler tasks like theme configuration and website migration. 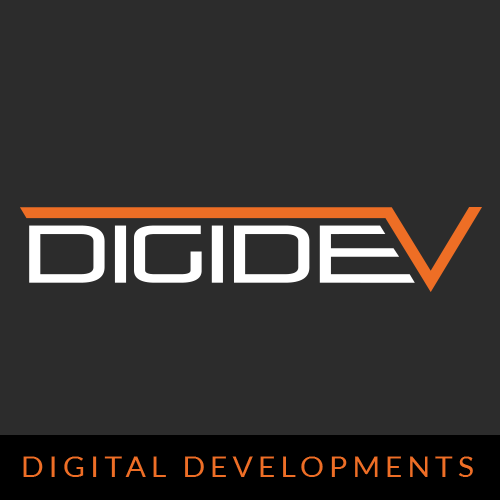 At DIGIDEV we specialise in website design & development. We live and breathe WordPress and it’s our platform of choice for any website requiring content management. We specialise in custom WordPress theme development, plugin development & customisation, e-commerce integration, LMS integration and any custom requirement that we may have thrown at us and believe us we have had a few! We have integrated Lifter LMS numerous times for clients including shifting from other LMS systems. I design vibrant and functional websites for tech-shy people. We provide the following services: custom web design and development, integration & set up of email service provider, integration & set up ofLifterLMS and any necessary extensions, consulting on instructional design as you create your courses (career #1 was in education), and personalized instruction so you can navigate and manage your site and LifterLMS effectively. At WisdmLabs, we build open source solutions that build your business. We strive to provide website development and consultation services for eLearning as well as eCommerce websites. Our expertise in creating valuable WordPress applications has gained us a recognizable name in the world of Open Source. We have cemented our footprints in the field of User Experience, Instructional Design, Website Optimization, Content Marketing, Social Media Marketing, API Programming, to name a few. I have my own website, it is an academy which is based in Lifter LMS. I am offering a course of Lifter LMS plugin installation and configuration in my first language. I believe this is a grate opportunity to help to spread out this fantastic LMS on Hispanic world . Also I offer WordPress courses and web design services. I develop custom LifterLMS solutions that make your LifterLMS site work the way you want it to. I provide LifterLMS Advanced Turnkey Solutions and LifterLMS premium add-ons such as LifterLMS xAPI and LifterLMS BackPack. I can integrate your LifterLMS site with other websites, services and marketing systems. I am positioned to provide ongoing support and services, hosting, maintenance and customization on a monthly basis. You can be sure my in-depth experience and breadth of LifterLMS development will meet your needs. I'm offering a predefined basic WordPress-Installation package containing LifterLMS and some other useful plugins (e.g. for maintainance, security, SEO). So that a customer could set up a basic environment quickly. I also consult regarding the configuration of LifterLMS (e.g. payment integration via PayPal or Stripe), creating courses or minor customizing. We can create a custom course design for our clients using the LifterLMS plugin. Our goal is to help entrepreneurs to diversify their services by adding educational information to their audience. We can help you set up all your online courses, memberships, engagements & more. We know LifterLMS and Divi inside out and can help you build a beautiful LMS website using the two platforms. Our creative and experienced team will come up with a beautiful custom website design that converts visitors into customers and helps you achieve your business goals. lead them right into LifterLMS. If you're serious and past your first testing stage, it's time to build it solid. Offering custom themes and full site review/setup for your LifterLMS powered online course. Also doing custom child themes for Larry. Did you use a LifterLMS Expert?